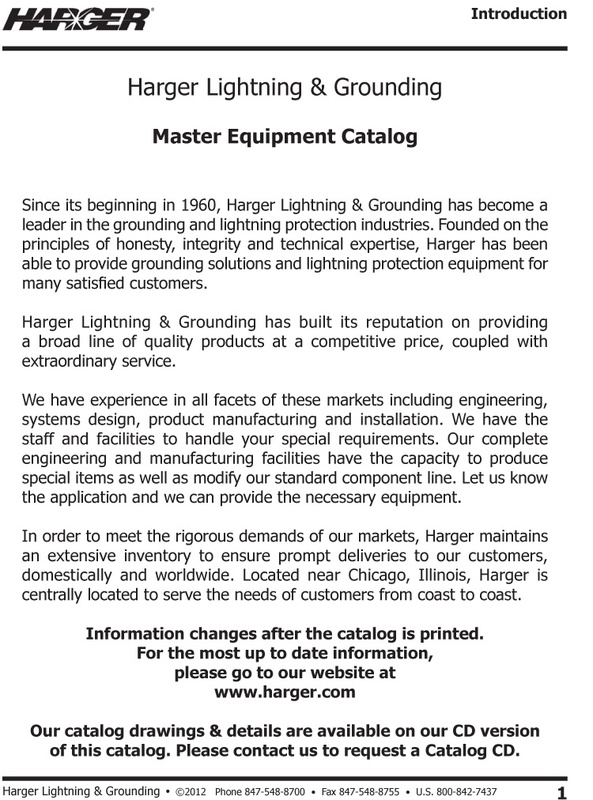 Since its beginning in 1960, Harger Lighting & Grounding has become a leader in the grounding and lightning protection industries. Founded on the principles of honesty, integrity and technical expertise, Harger has been able to provide grounding solutions and lightning protection equipment for many satisfi ed customers. Harger Lightning & Grounding has built its reputation on providing a broad line of quality products at a competitive price.